On Friday, January 30, 2015, I attended the opening of the From Generation to Generation: The Love of Toy Trains exhibit at the National Railroad Museum, 2285 South Broadway, Green Bay, Wisconsin 54304. From Generation to Generation: the Love of Toy Trains tells the time-honored story of toy trains through the noteworthy collection of Museum Lifetime Member John Casperson along with items from the Museum's collection, and is geared towards both the young and the young at heart. Mr. Casperson has been collecting toy trains and accessories for years. He has collected a number of tin plated toys, models of various gauges, and even variations of a particular model. His impressive collection features toy trains dating back to 1911 from many popular American manufacturers. The color and detail of these beloved toys will fascinate adults and children alike! 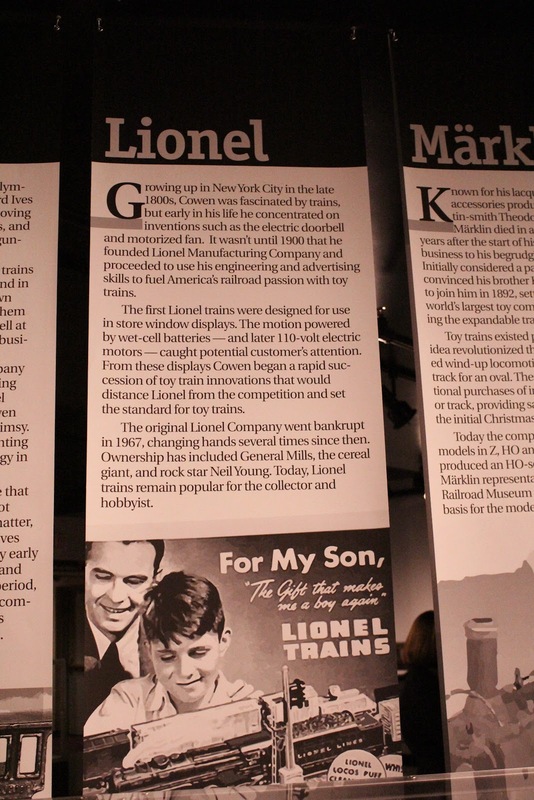 Over the years, the National Railroad Museum has received a number of toy and model train items from donors. This exhibit provides the opportunity to display some of the unique pieces from the Museum's collection, featuring toys of all shapes and sizes. The foregoing content used with generous and gracious permission of the National Railroad Museum. Here are a few photos from the exhibit and inside the museum. I was invited because I am a Museum member. The exhibit opens to the public on Saturday, January 31, 2015. At the entrance to the exhibit. 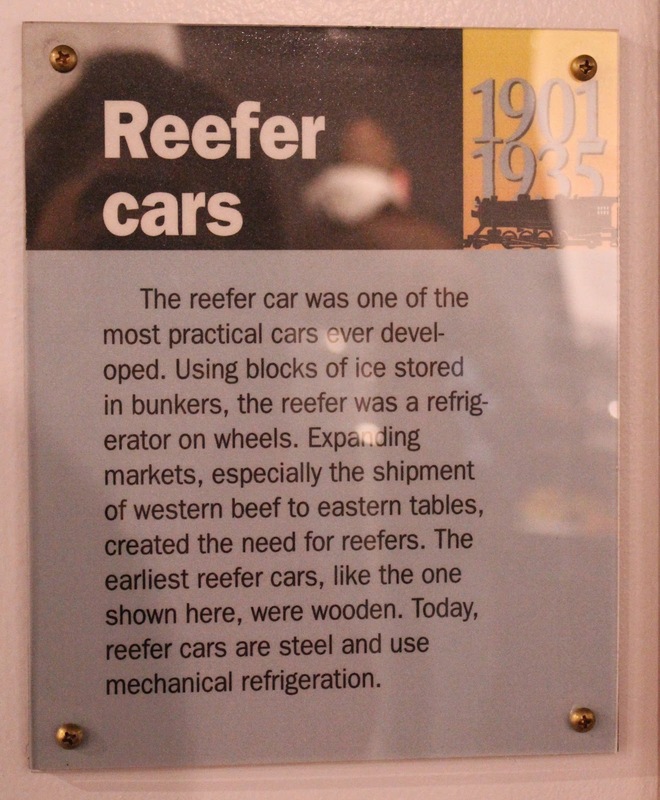 The "Reefer cars" sign corresponds with the display below . . .
ACME PACKING -- how the Green Bay Packers got their name. This cherry locomotive is a Lionel model . . . The above photo corresponds with the sign below . . .